I'm in the planning stages of a new workshop/shed build. I plan to run a 60A ciruit from the main panel in the house to a subpanel in the shed. I recently picked up a used Challenger QM322200 200A breaker panel with about a dozen circuit breakers for a song. Can I use this panel as is, with the stock 200A main breaker as a master shut-off? (I'd relabel the panel as 60A). If no, where can I find a 60A main breaker to swap into the panel? 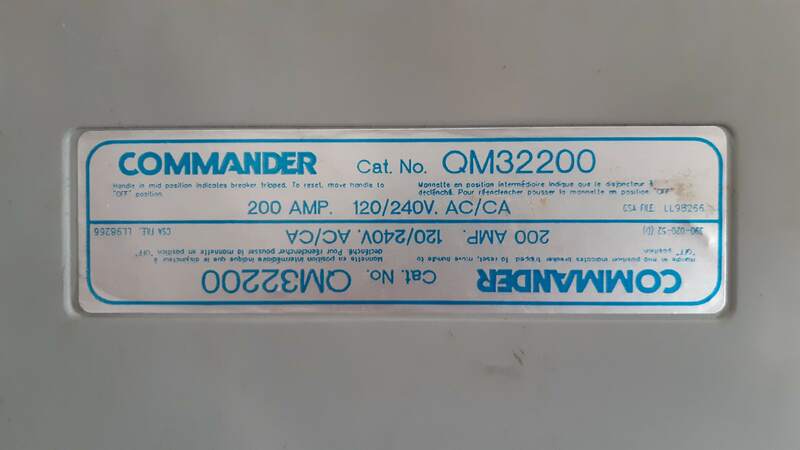 You can use the 200 amp main as a disconnect it is fine since you will be using a 60 amp breaker in the main panel the wire needs to be sized for 60 amps. As long as the panel is as large as the service panel breaker or larger it would be code compliant. Your panel is fine; Eaton still supports it with new-build type BQL breakers, and a bolt-on panel, provided the screws are torqued in properly, is fine on the breaker-to-busbar front as well. The 200A main breaker simply is a shutoff switch, so it's fine as well; there is no need to relabel this panel as a 60A panel just because it's being fed from a 60A feeder. Not the answer you're looking for? Browse other questions tagged circuit-breaker subpanel or ask your own question. How should I wire a subpanel for a tiny house? Is there is a Standard on how much main service panel / main circuit breaker amps should be?